Bailey Shea Williams drives her ATV Quad Racer at harrowing speeds. However this young woman thrives on the speed and has won several titles including the first female to win a National contest. 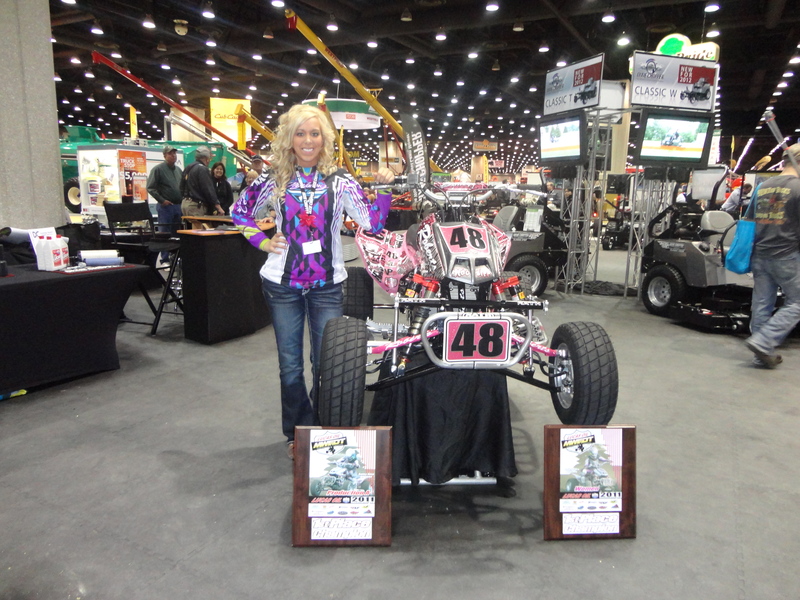 Bailey was set up at this year’s 2012 National Farm Machinery show in Louisville, KY. She was signing autographs in the Dixie Chopper booth. Art Evans, founder of Dixie Chopper took a few minutes to share the history of his development of the revolutionary zero turn mower. Watch for the whole story in the September issue of Lawn & Garden Collector Magazine! To learn more about Bailey and Dixie Chopper, check out their website at http://www.dixiechopper.com.